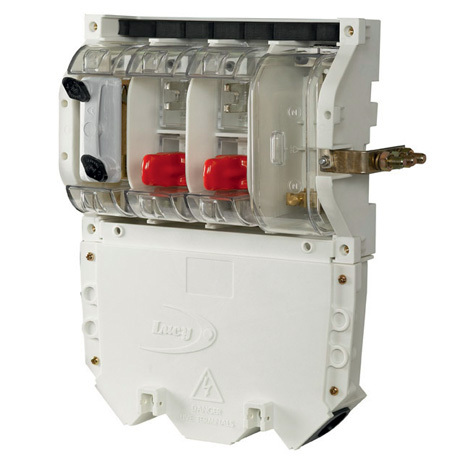 Lucy Switchgear Heavy Duty Cut-outs (HDCOs) are available with 200A, 400A and 600A current ratings and capable of low voltage cable termination up to 300sqmm, aluminium or copper conductors. The Lucy Insulated Heavy Duty Cut-outs incorporate a redesigned trough to allow a choice of three cable entry positions, And also have a sealing wire facility. Lucy Insulated Heavy Duty Cut-outs are manufactured from Glass reinforced polyamide 6, and include Tinned Copper Busbars, have Polybutylene terepthalate (PBT) Fuse link handles, Clear Polycarbonate Insulation Shields, and Flexible Synthetic Nitrile Rubber Grommets. Lucy Switchgear heavy duty cut-outs accept BS88 J type fuse links with 83mm or 92mm centres and are specified and approved by most UK DNO's. 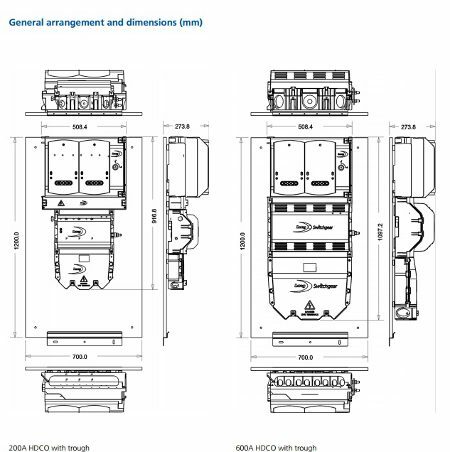 Always striving to improve standards across the complete Lucy Switchgear range the following changes have been introduced. Emphasis has been given, without the need to disconnect outgoing supply cables, to rationalise the requirement of replace metering CT's in situ either as a result of a change in consumer supply demand or through a electricity fault. Provision has been made to pre-wire the meter compartment in accordance with customer requirements and to enable the meter to be mounted on the front door.